Birregurra Primary is an exceptional rural school with 92 students across five classrooms. The school's vision of care, curiosity, innovation and progressive practices ensures that all students thrive in our ever-changing world. To help fulfil this vision, every Birregurra Primary School child has access to their own iPad or laptop from Prep to Grade Six - a program made possible by annual fundraising efforts, such as this raffle. Your ticket purchase will help to ensure that every child, irrespective of family financial circumstances, is given the opportunity to thrive in the area of digital literacy throughout their primary years. Enjoy the dining experience of a lifetime at the multi-award winning Brae Restaurant in Birregurra. and priority booking for your preferred date. 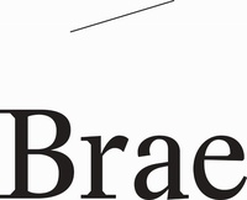 Brae is the AFR Australia's Top Restaurants 2018 No. 1 and Fairfax Good Food Guide's 2019 Regional Restaurant of the Year. The Raffle commences on the 1st of Apr 2019, closes on the 26th of Jun 2019 and will be drawn on the 26th of Jun 2019 at Birregurra Primary School at 12pm. Details of the Winner(s) will be displayed at www.birregurraps.vic.edu.au. State(s) where tickets are on sale ACT, NSW, NT, QLD, SA, TAS, VIC. 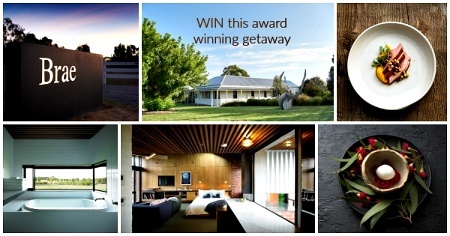 This raffle is being held for Birregurra Primary School 58 Beal Street, Birregurra, VIC, 3242 by Fundraising Agent Julianne Bagnato, Brae Restaurant, , , whose authority to fundraise can be verified with the beneficiary . Persons under the age of 18 years are unable to enter. The odds of winning the stated prizes based on the total possible ticket sales displayed are: 1st Prize 1/2000. Prizes are not transferable or redeemable for cash. Some images are display only and may not be a true reflection of the prize. This raffle is hosted for a service fee by RaffleLink a registered business of Lighthouse Group Pty Ltd ABN: 83161197860, PO Box 6758, Upper Mount Gravatt QLD 4122. Lighthouse Group Pty Ltd as RaffleLink is committed to selling raffle tickets responsibly to support community and charitable organisations. Thank you for supporting our Raffle. This raffle is hosted by RaffleLink. RaffleLink adheres to the Responsible Gambling Code of Conduct. We encourage responsible gambling. Only spend the money you can afford to lose. Decide before you buy, how much you want to spend. If multiple ticket purchases are offered, plan your purchase so as not to go over your predetermined budget. For advice and help gambling support services are available or call the free gambling helpline on 1800 858 858. Note - you need to be 18 years of age to purchase a ticket. Unable to find address. Please enter manually below. I give my permission for the raffle beneficiary to contact me with regard to their organisation's news and future fundraising.